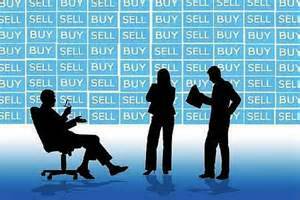 We have to implement the principle " sell when everybody is buying and buy when everybody is selling" for stock market success. This is Contrarian Investing. It is difficult to judge whether this is the Correction Phase or the Impulse Phase. The bottom of the market is 23 K and top 38 K and now the market is in between, fairly balanced. Given India's industrial potential, it can go beyond 38 K, but because of the global meltdown it can go beneath < 23 K also. Saturn benign, Jupiter also benign, but the war like situation is negative. Mars in Aries ? Mars, the planet of War aspects Jupiter in Scorpio. This is responsible for the war like situation prevailing on the Indo-Pak border. Inflation will rule the roost, once war happens. If many nations go to the other side ( for example, China, Egypt, Iran et al ), this was has the potential to escalate into WW3 ! The two population crisis points are Kashmir & Palestine. WW3 can erupt from any of these crisis points. Jove moved over to the positive 5th on Oct 11. Now market is perking at 35 K and the Correction Phase seems to be over. Saturn is trying to pull the market up. That explains why there are sudden bullish rises, however temporary. India's potential is immense, as under an intelligent ruler, India can rise ! Infrastructure is given a big boost, inland waterways development, roads, aviation, sea ports, airports etc and India is on her way to becoming a major power. With Make in India picking up ( she is the first largest manufacturer of mobiles ) , India's GDP will rise ! Recession rules in all markets, realty, gold and stock. Depression 2.0?. So it is better to hold on in the stock markets ! Let us wait and see ! Finds out Auspicious Days for speculation & trading, creates Natal & horary charts, finds out which industry shares are ideally suited for you by the Theory of Harmonics & instructs you when to enter & exit the market. Includes a well researched Companies Database.